On Sunday, New York Yankees manager Aaron Boone confirmed the 25-man roster for opening day. The bullpen and rotation, catchers and infield look exactly as expected. However, there is one noticeable player missing in the outfield. Why Tyler Wade Didn’t Make The 25 Man Roster? 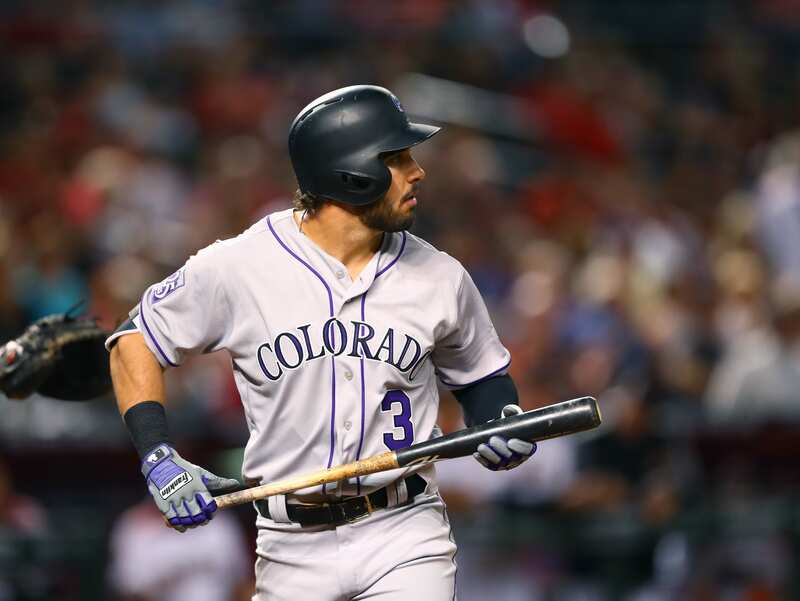 Brian Cashman traded pitcher Philip Diehl to the Colorado Rockies for outfielder Mike Tauchman. Most Yankees fans thought nothing of it, including me. It seemed like a depth move to get a bat with minor league options. Then, Boone had Tauchman on the roster over Tyler Wade, sending Yankees fans into disarray. Tyler Wade was coming off another really good spring training. It seemed as if he had the extra outfield spot locked down. After the trade, Wade now heads to Triple-A for the start of his 3rd year in Scranton. The argument can be made that the Yankees are adding more proven production by having Tauchman on the roster rather than Wade, so let’s dive in,. Tauchman, 28, enters his 7th year of pro ball. In the majors, Tauchman hit .222 with a .344 OBP and a .296 slugging percentage in a brief stint in 2017. He followed that up with an .094 average, .194 OBP, and a .125 slugging percentage, in brief assignments with the Rockies last season. In Triple-A, Tauchman hit the ball really well, smashing 20 home runs last season with a .323 average. Wade, has a career .161 with the Yankees and an average consistently over .250 in Scranton. Tauchman beats him in average, OBP, and slugging percentage at Triple-A. Wade also has a bigger sample size than Tauchman in the majors, which should be taken into account. Tauchman has shown more flashes of being productive at the next level than Tyler Wade. The new acquisition was also more productive in the minors and backs it up in the field by not being a liability. Tauchman is a better hitter than Wade and erases the fear of bringing a weak bat to the plate if you put him in. Although I am a big fan of Wade, Tauchman has the potential to be this season’s Luke Voit and at the very least provides more proven production than Wade. In the end, the more experienced Yankee now gets to work out his kinks in Scranton and the Bombers get a productive 4th outfielder. So, don’t fret Yankees fans, Cashman knows what he is doing.